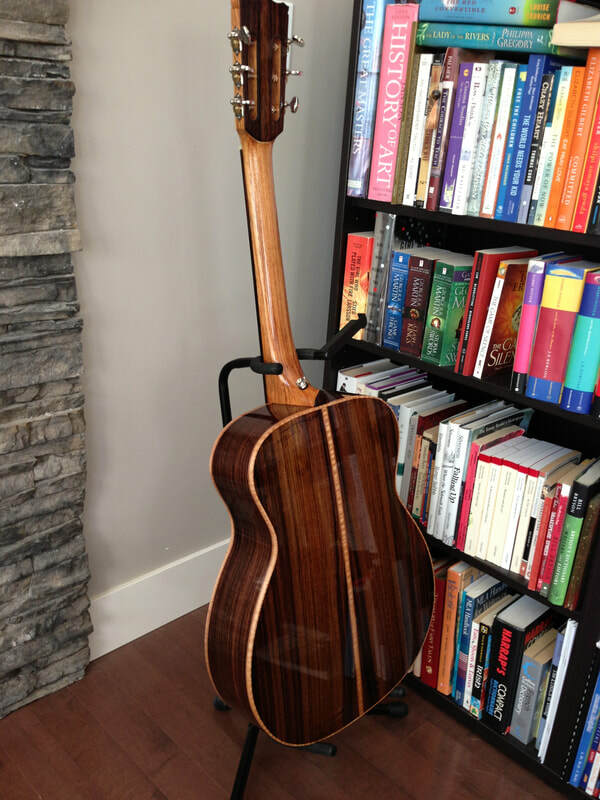 The back and sides of this guitar are constructed from renewable Indian Rosewood, carefully selected for grain and figure. 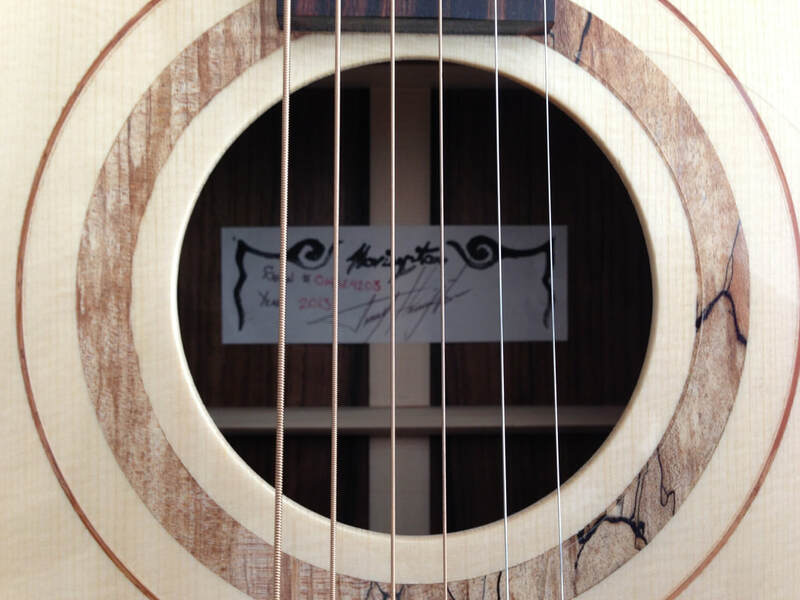 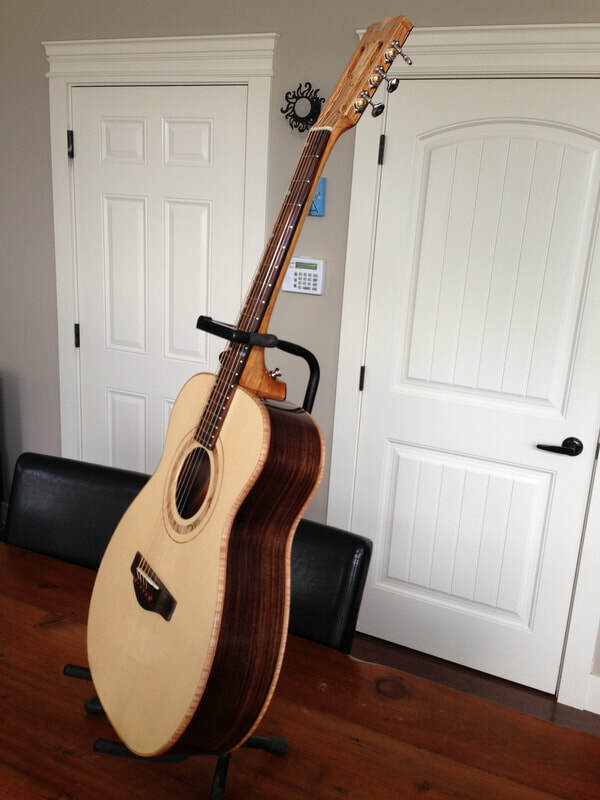 An Engelmann Spruce silk figure soundboard boasts a beautiful Spalted Maple rosette. 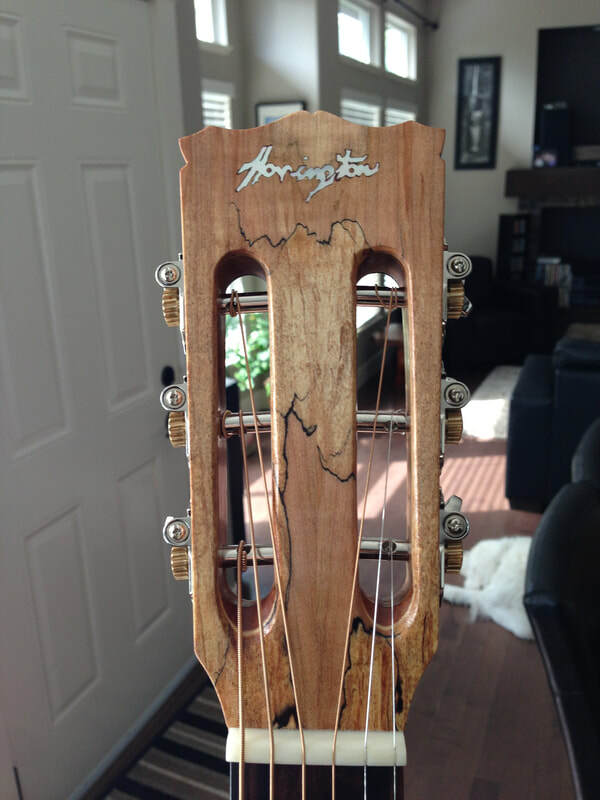 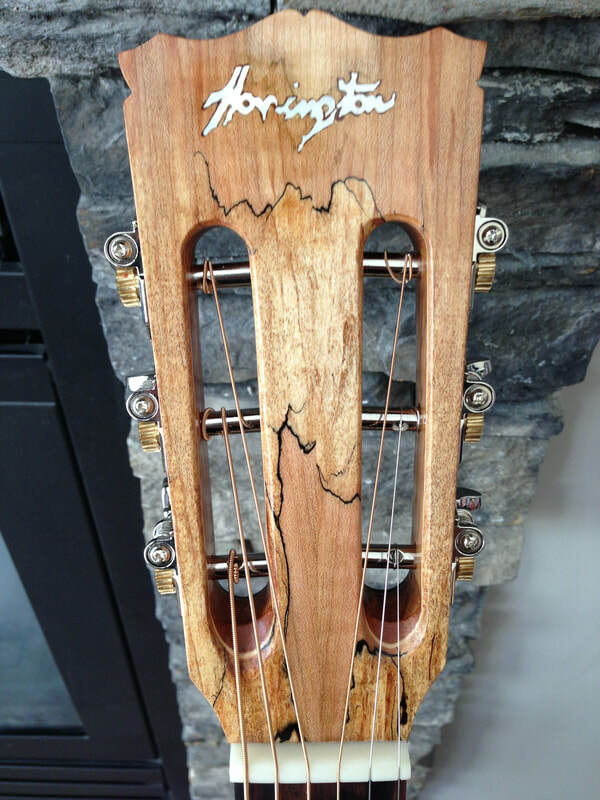 Matching Spalted Maple is used on the headstock, with Mother of Pearl inlay. 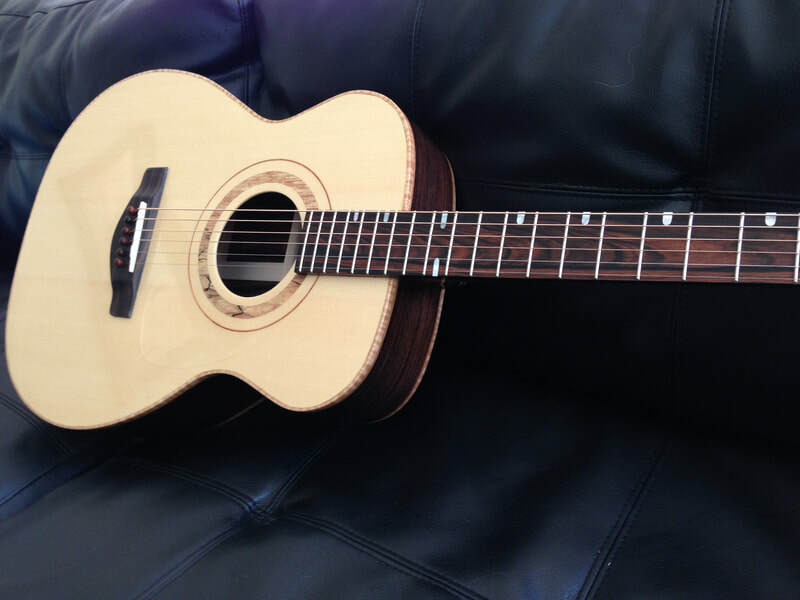 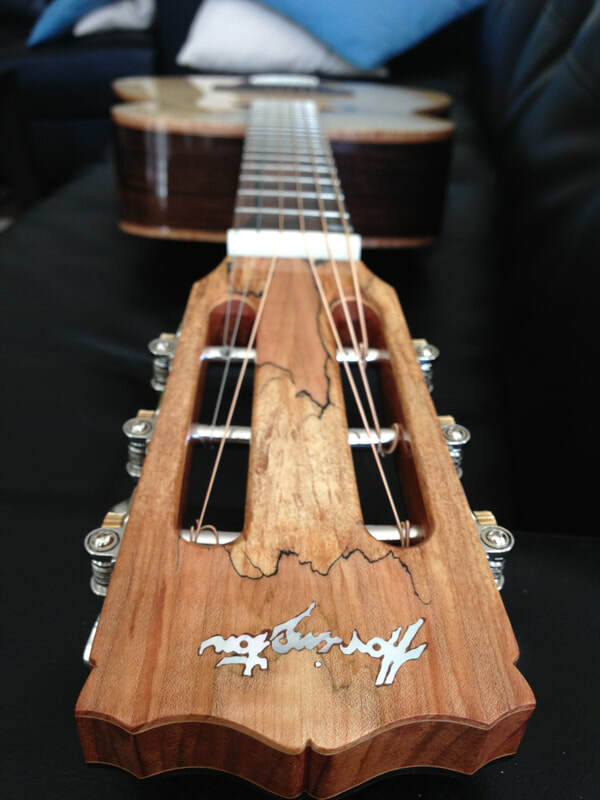 The hand-shaped Narra neck is capped with a Marcassar Ebony fretboard, inlaid with MoP. 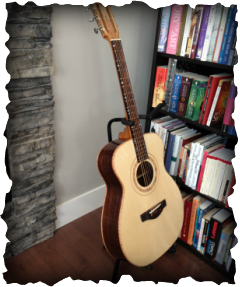 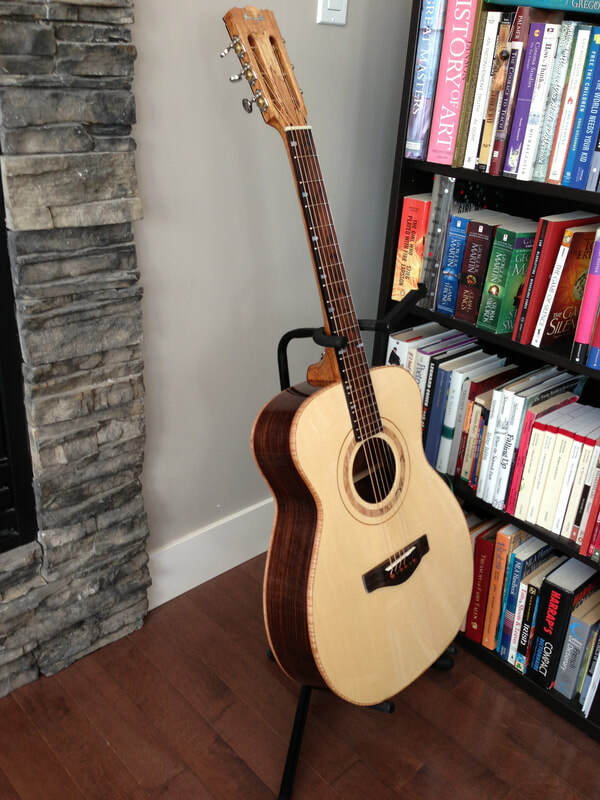 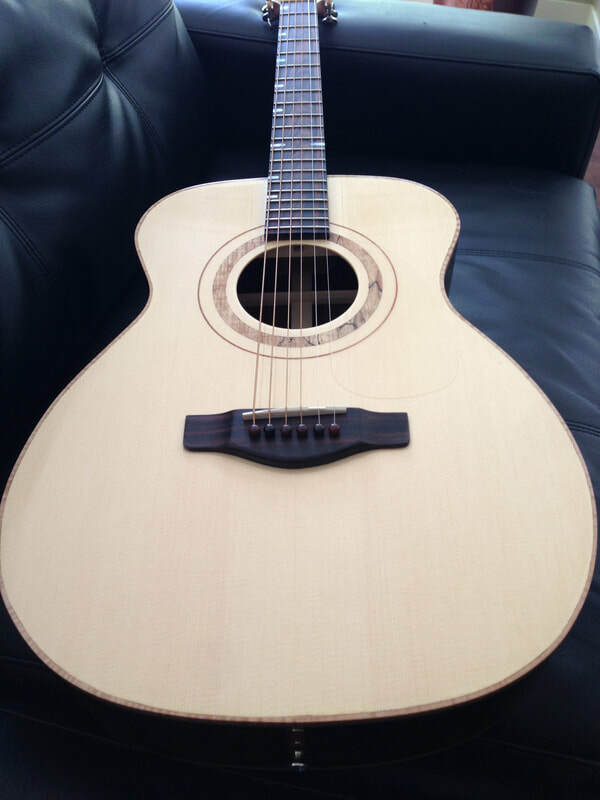 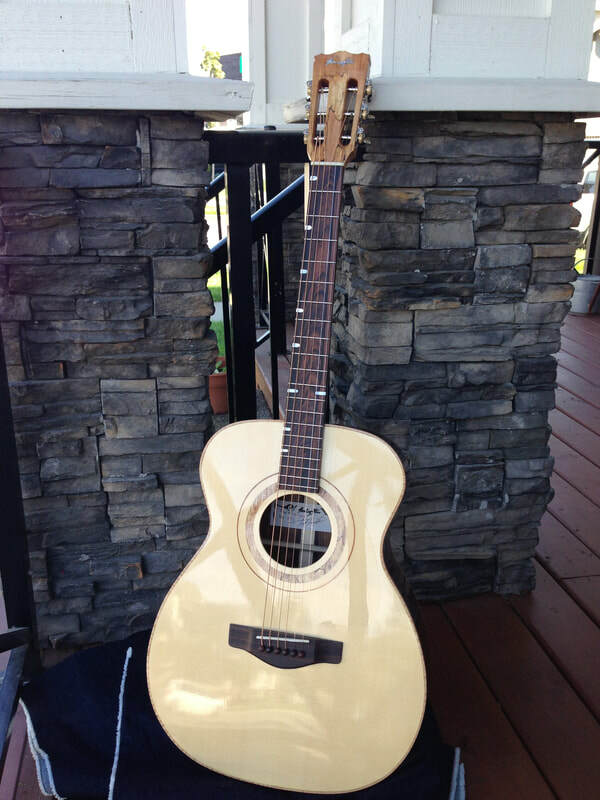 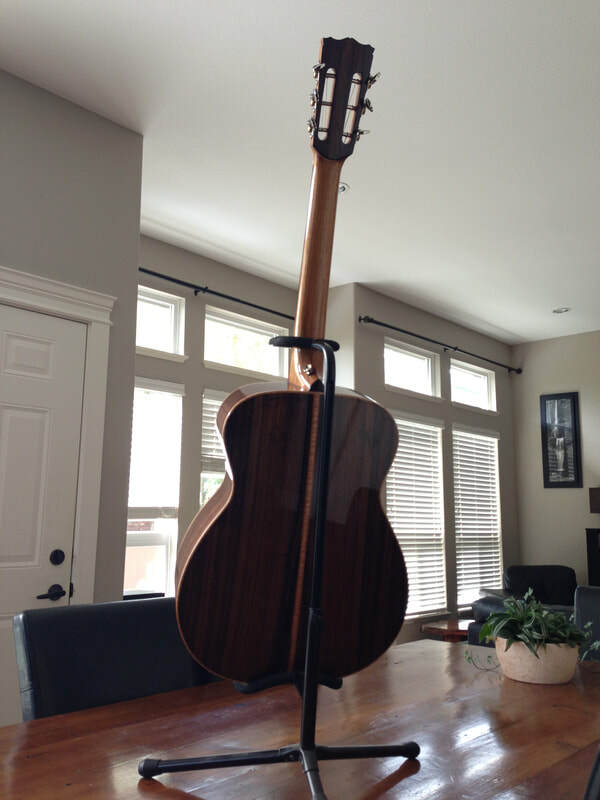 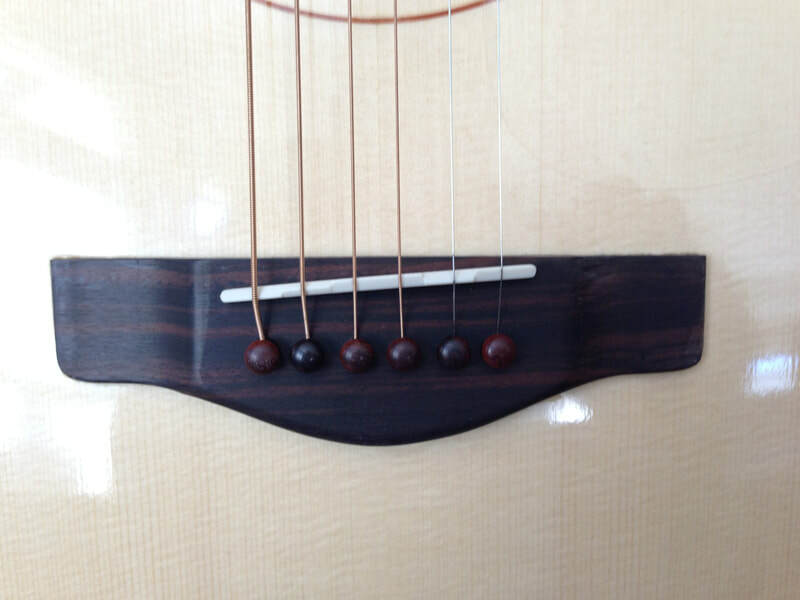 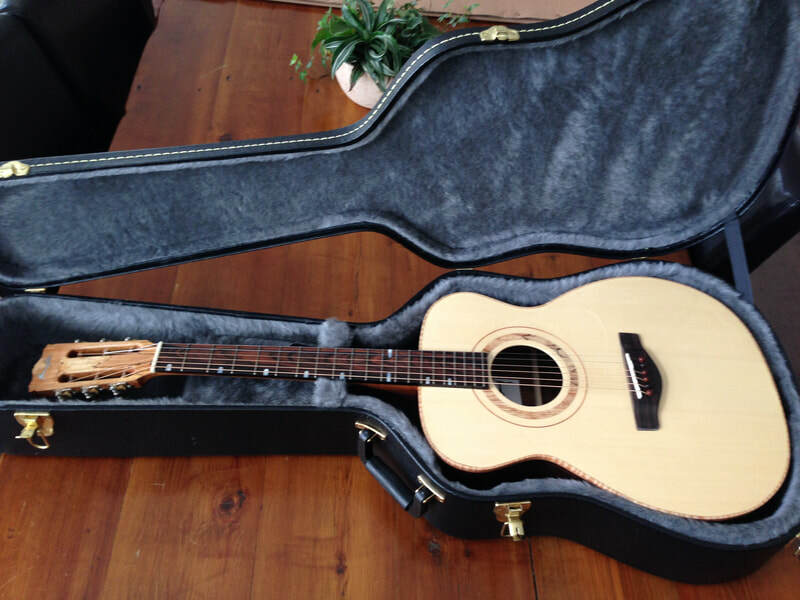 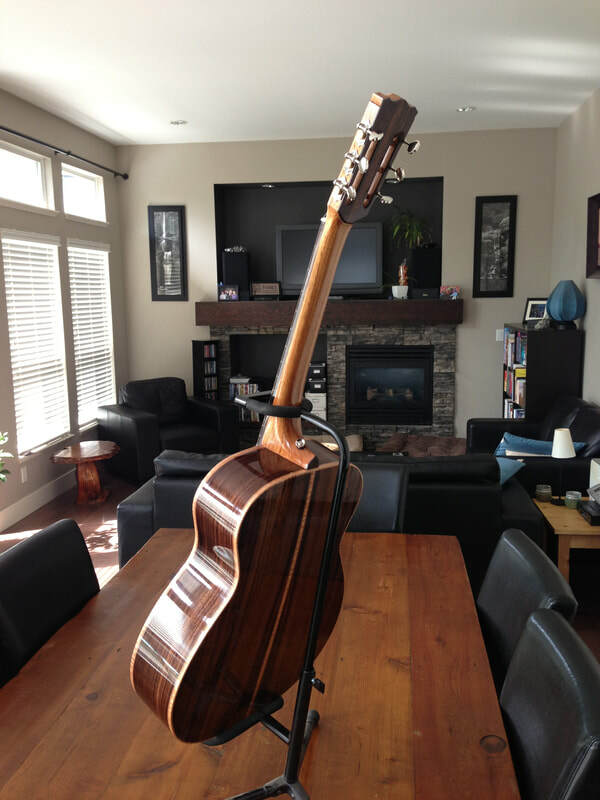 A double-action truss rod is accessible through the sound hole for ease of adjustment. 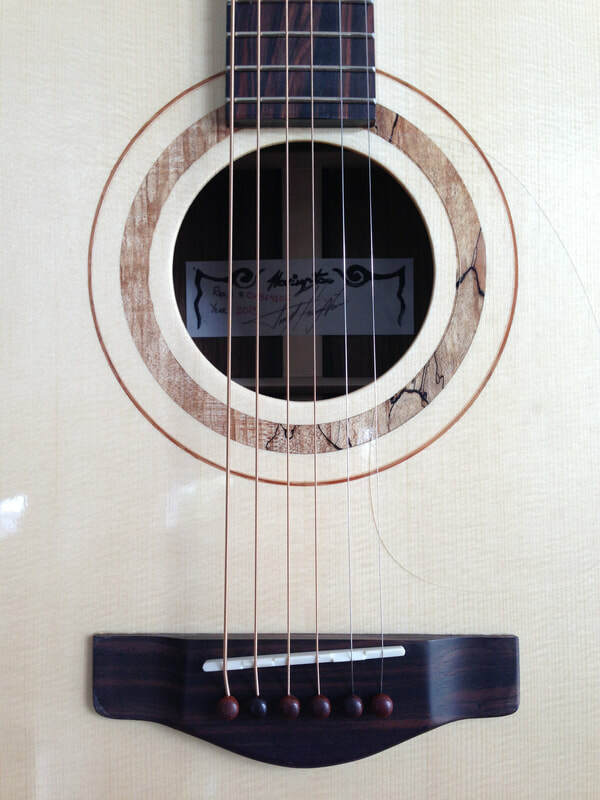 Other detail work includes a curly maple centre strip on the backboard with matching binding. 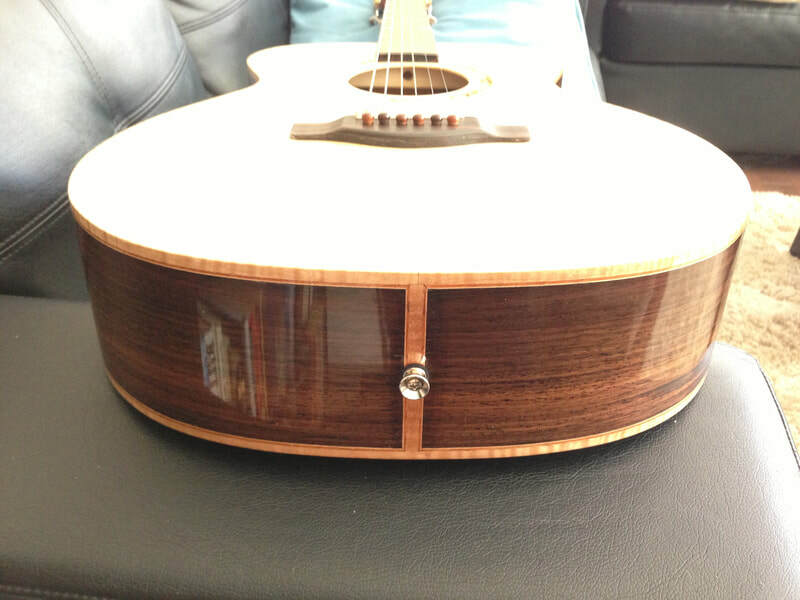 Finish is a platina French polish.